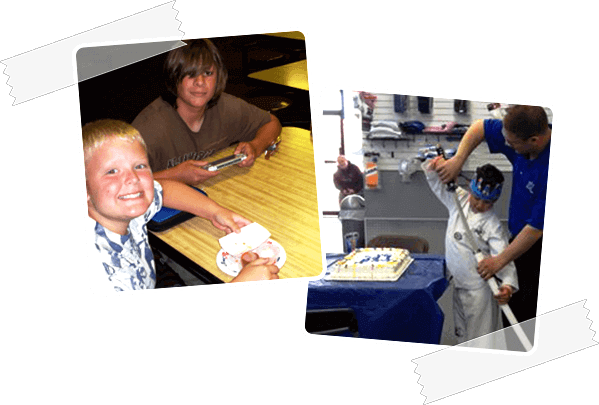 World Karate offers a karate birthday party that is guaranteed to be fun for everyone! We do our parties on Saturdays . The allotted time is one and a half hours. Your child will be able to invite up to twenty of his friends and we will take care of the rest. A birthday event generally starts with a fun filled Tae Kwon Do class and then the children are supervised in a handful of fun games and activities. Each of the guest will receive a special gift from us. World Karate Birthday Party are for FREE. This is our way of giving back to the community. Please try and book atleast 2 months in advance. Please limit so others may take advantage of Free Birthday Parties. Call to check availability (703)764-0800. Spaces fill up quickly! The best part is your house remains standing and no mess to clean up! !